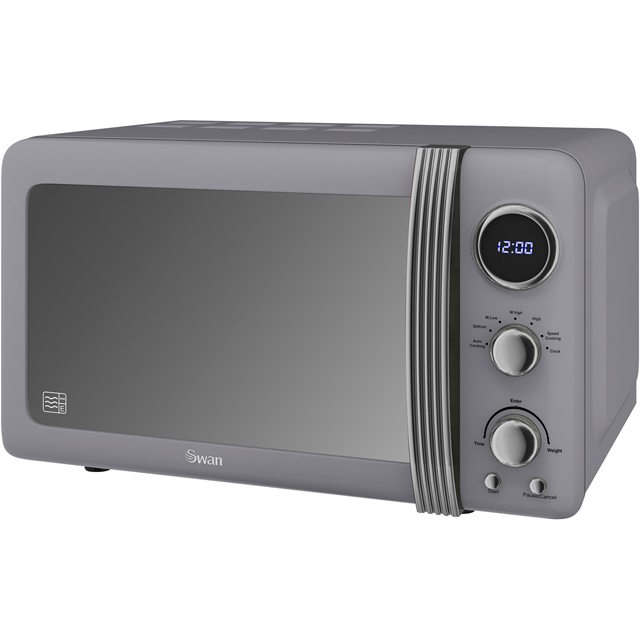 This cream microwave oven from Swan would be an eye-catching addition to your worktop. With a 20 litre capacity and 800 Watts of power, it’s the perfect choice if you live in a smaller household. Whether you’re preparing pasta, pizza or popcorn, there’s a choice of automatic programmes as well, which means you’ll never need to guess any cooking times. You’ll know exactly when your meal is ready as well, thanks to the handy electronic minute minder. With its stylish retro design, this microwave will certainly make a lasting statement in your kitchen. I absolutely love my Cream retro style microwave, Does all I need it to do, couldn't be happier???? Looks the part, works very well, but personally it's not intuitive to use. I hate reading instructions, so keep pressing the wrong buttons. I'd like the option of easily setting it for 1min etc.. I love this microwave which i bought to match the same fridge. Its easy to use and bigger inside than it appears from the outside. Exactly what i wanted. Ordered the cream and it has a yellow tinge which is perfect for my yellow kitchen and also blended with my other cream accessories. Easy to use comes with clear instruction. Nice bright digital timer. Although it is looks small it is quite roomy inside. Does everything i need including auto cooking. 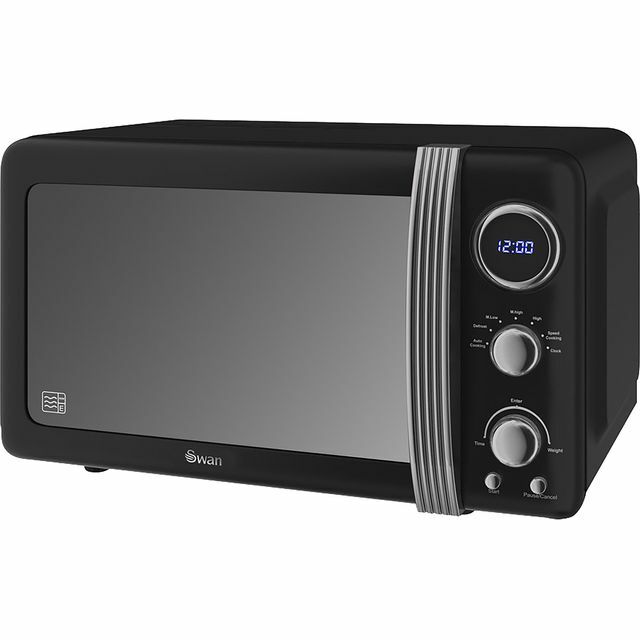 All in all it has everything, retro, functions and great price. Can't stand ridiculously complex microwave user interfaces. I just need power, time, go! Not to tell it that I'm cooking a bolognese. This device has two knobs, start and stop. Awesome! 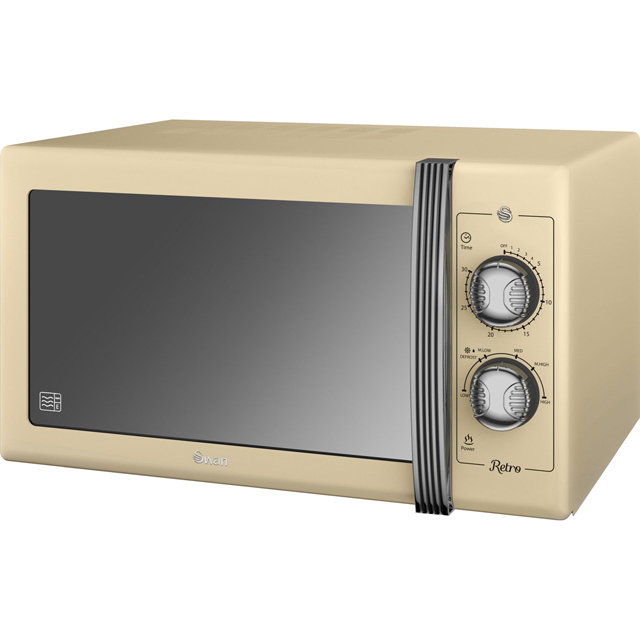 Am very pleased so far with this new retro microwave it works well and looks good. I have bought many products from AO and have been satusfied with the results.